As nicely as I can possibly put it, the constant banter about Boston (and marathoning in general) being all about the journey just isn’t/wasn’t my way. It was always and shall remain about the race itself. If “the journey” means the training necessary to get there, that is only half. The race being the remainder and without the other each is meaningless. Matters not how fast you complete the distance. What is most important is that you lay it all completely on the line. Run as fast as you possibly can for as long as you possibly can, and then hold to the finish. You had to run under 2:50 to qualify for Boston in my time. And I hit that mark many years. But only once did I feel I could give the race of my life to the storied event. 1996, the 100th Boston. My only Boston. I gave it everything I had, going for a personal best and nothing less. You’ll see all manner of runners on Boylston St. today, running for a thousand different reasons. And if you’re lucky you’ll see those that are willing to die on the course for their own personal pursuits. Run today like its your last. Make it meaningful. Screw the journey, make it the Race of your Life. This entry was posted in Uncategorized on April 15, 2019 by runguru. Hard to find the right words to describe the human toll. Nearly a month after the flooding began it is no ways finished. You see it etched into the faces of those still dependent on the charity of the relief centers. Good hard working people trying to put lives back together. Sump pumps discharging like clock work, every 10 seconds now, hope gained by mere tick tocks. Cory and Cassy bought the 7 acres just north of us last summer. Gutted the old farm house, completely modernized and beautiful. Just days away from moving in. She due with their first child any day now. All furnishings stored in the basement and outbuildings, a total loss. They are starting over again. Wes and Michelle bought the 5 acres just southwest of here exactly one year ago. Another complete remodel, part of the reclamation of the Twin Rivers Homesteads. They are still in Elkhorn waiting, waiting…. Josh and Sarah are just up Douglas St. from us. Took the old farmhouse down to the slab, the gem of the neighborhood springing up in its place (by Vince Kunasek Design- Omaha’s leading house designer and Linda’s cousin). They’ve lived in their camper for a year, now the move in date into late spring/early summer. Campanile Road is a war zone. The Platte River overrunning Lake Platteview, tossing homes, cabins and trailers like dice on a table. Three breeches along the levy, perhaps reclaiming the area forever. Junkstock at Sycamore Farms. The Elkhorn depositing sand dunes nearly 30′ tall on the property. This spring’s edition moved to the fair grounds in Sarpy County. King Lake utterly devastated, some homes with 8′ flood lines marking their sad chapter. Our neighbor Jim recounted this yesterday- He received a call from a friend over on Q St. the day after the waters rushed in, the entire house washed away. Jim took the circuitous 30 mile drive to assist, found no one on the property. The man had gone to the washed out bridge and took his life. Valley City Council Member Cindy Grove. She established and has manned the Valley Flood Relief Center tirelessly for the last month. We hope everyone remembers her when the next Mayoral election comes around. And we are proud to have her on our 7 Lakes Marathon committee. Shawn Love, for being a friend of the first order. Jane Campbell, Josh Coates, Jimmie and Mandy Sue Doherty, Tim Dooling, Gene Erickson, Tim Meyer, John Morse, Jake Muller, Linette Nelson, Jackie Parker, Mike Reilly, Bea Sides, Tom Stiaert, Carole Swanson, Dan Wineingar, Bill Weeks, Tom Whitaker, Bette Williams, and Kray Zeller. St. Mark’s for feeding our community. Thank you all for helping to get us back up and running. This entry was posted in Uncategorized on April 11, 2019 by runguru. 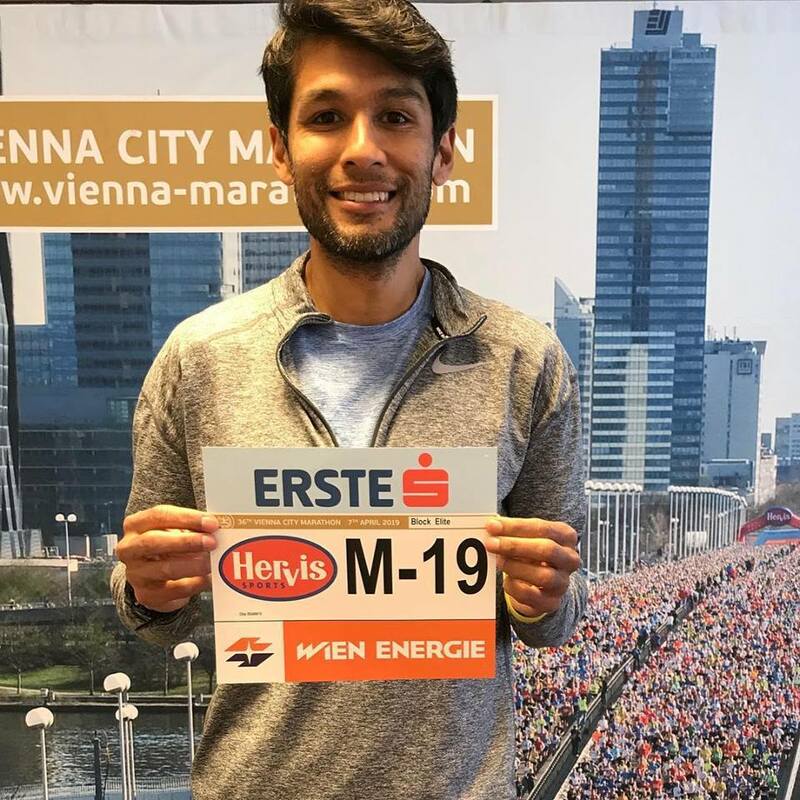 “April 7th, 2019 I failed to finish the 36th annual #viennacitymarathon. I woke up this morning with stomach problems, I was afraid I wouldn’t be able to even start the race. Felt horrible during warm up, and I was just happy to line up and try. Felt off from the beginning. 12km I was done, I made it to 16km and that was it. Ladies and gentlemen, today will be my last race as an elite Athlete. When it comes down to it, I am not willing to live this lifestyle anymore. My heart doesn’t burn for this as it once did. Back when I was younger, this running thing was literally all I had. My insecure younger self was so hungry for recognition and success, and I def. received that. Yes, I can run another race, I know I can get into another elite field, but I don’t want to. For once in my life I am going to quit while I am ahead and count my blessings. I have good health, no injuries from running, I am about to be 37 years old in 15 days. I have established my name in the running world. I started out in life as a scared little boy who had nobody to hear his cries, nobody to come save him. As a man I would become known all over the world, a person others looked to for motivation. Never in a million years would I have thought I would make it this far, especially coming from southeast Fresno (CA ). It’s time to move on to my next purpose in life. I have gotten what I needed from professional running. 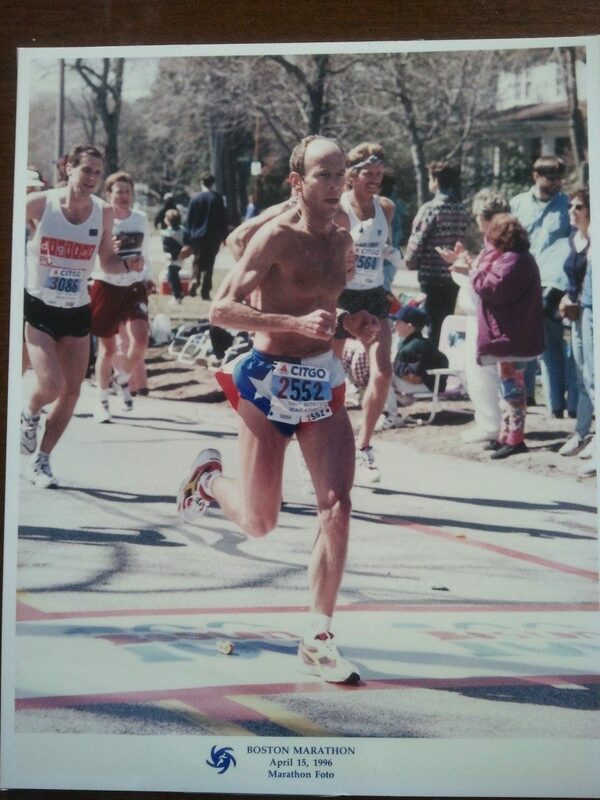 I have ran for 28 years, 20 as an elite, 13 as a pro. I have represented team  7 times. In college I won 7 NAIA national titles, 3 USA national championships, I broke the national record in the 25km in a college uniform, debut 2:12:27 and still 9th in history as a 24 year old. 2:11:36 for the full marathon and 1:02:00 for the half marathon. I can go on and on. Now I can finally celebrate and enjoy all my accomplishments. I will always be a runner, you may see me running beside you down the road in life . My goals are to focus more on my coaching business @cabada_ts and begin to coach elites, become a manager and elite coordinator for various races. I’m not going anywhere, I will just be doing God’s work in other ways. #contodo #cabadats #drymaxsocks — at Radisson Blu Park Royal Palace Hotel Vienna. Fernando Cabada. Linda and I will raise a toast of Don Julio to you tonight! This entry was posted in Uncategorized on April 8, 2019 by runguru. This entry was posted in Uncategorized on April 6, 2019 by runguru. Official word from the Douglas County Engineers on Monday. 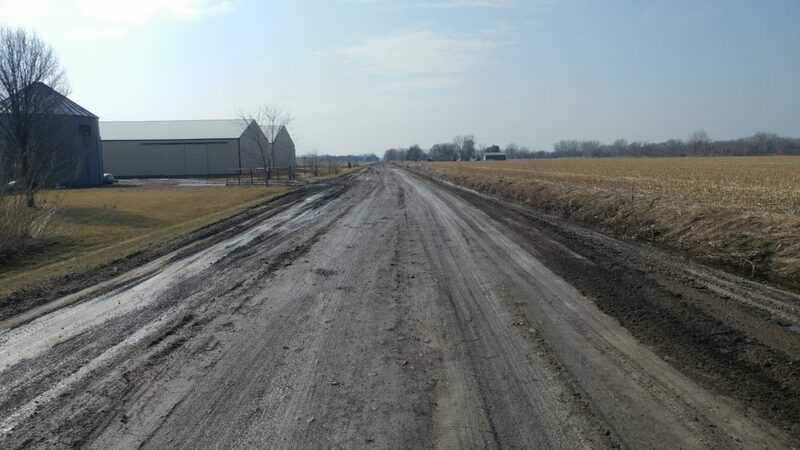 The Valley 7 Lakes Marathon has been cancelled due to extensive damage to our course, in particular the 264th & Dodge intersection and the entirety of 252nd St. between Dodge and Blondo. As Executive Director the buck stops with me. It weighs heartbreakingly heavy. Sixteen months of hard work by our race committee. Race Director Tristan Nelson attending the USATF annual meetings. Monday night meetings for the last 3 months. Countless engagements with the principles. Scouring for sponsorships. Inspiring a new generation of race administrators. Selling the vision of a World Class race with Small Town Charm. Spreading the word to our American athletes that we have designed the fastest, flattest, IAAF record eligible marathon course in the United States. Maybe the world. All the hope and energy and promise now put on hold for a year. This will give Valley and Waterloo a year to heal. We were hit just too hard to recover in 5 weeks. So many displaced families, washed out infrastructure, stressed services. Most of our race committee living right here in Western Douglas County, a blow to us all. Linda and I still without running water or heat, counting ourselves fortunate in comparison to those less so. If we are to find a silver lining it is the race has now become a rallying point. I had hoped the race would go on as demonstration of the strength of our communities. But now the event’s mission of highlighting our area becoming even more important moving forward. Showing that we can and will overcome. Saturday April 25th, 2020. Thank you for marking your calendar. We invite you to come run with us. This one mile stretch of 252nd was paved two weeks ago. It will be a construction zone in 5 weeks. This entry was posted in Uncategorized on March 28, 2019 by runguru. The first thing most people are saying around here is “There are those a lot worse off than me.” There are. The way this community has rallied together is good for the heart and soul. The incredible power of the rivers surpassed by the strength of a simple hug. Hydrostatic pressure. If you empty your basement too quickly ground water surrounding the deep foundation of a house can collapse walls, buckle floors. Its all about equilibrium. I’ve been cautiously pumping mine with a generator, dropping it to levels making retrieval of important items possible. Hopefully getting the electric panel checked today, been a week without power. This is my first time in a week on the internet. The main floor a criss cross of extension cords, the constant drone of the generator now mere background noise. No electric to the well so we’re shittin in a bucket. No heat, we can see our breath in the house. No newspaper, mail, or trash services for the last 8 days. Eating meals at the local churches. Humbly accepting supplies and support. Showering at the Twin Rivers YMCA, my first in a week yesterday. We are the lucky ones. We still have each other and our house. My dear sweet Linda is fine. Jed and Desi and King and Natalie and all those cluckers in the barn as well. Counting ourselves fortunate to have them. Our 2019 market garden business a casualty we have yet to even address. My spring crops should have been in the field 3 weeks ago. I should be starting summer crops right now. It could be worse. I’ll try and get back online over the weekend and give some critical updates about the Valley 7 Lakes Marathon. 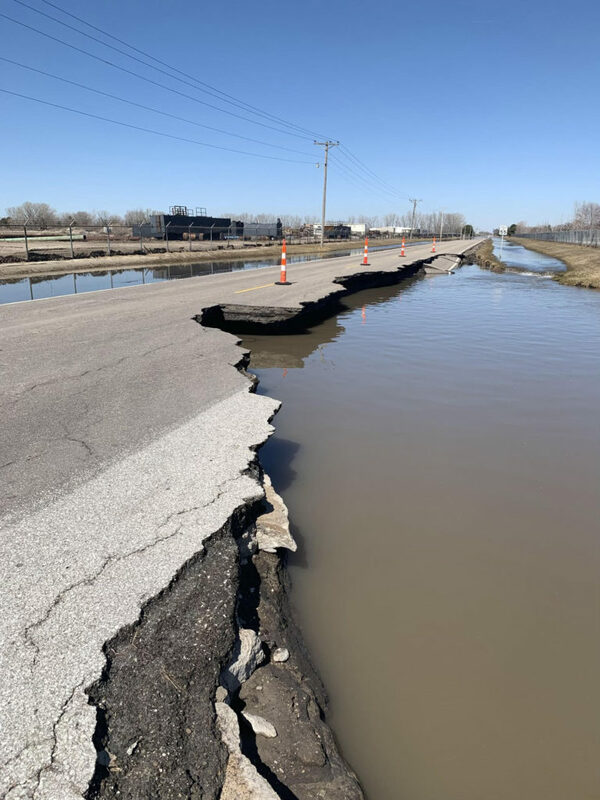 We are in constant contact with Douglas County and hope to have a decision on the road repairs within the next few days. Our marathon course has been partially devastated. We will give updates as soon as they come available. This entry was posted in Uncategorized on March 22, 2019 by runguru. Thank you again to our sponsors, our communities, our volunteers, and most importantly our runners. Looking forward to hosting you all to our World Class Race with Small Town Charm! This entry was posted in Uncategorized on March 15, 2019 by runguru.